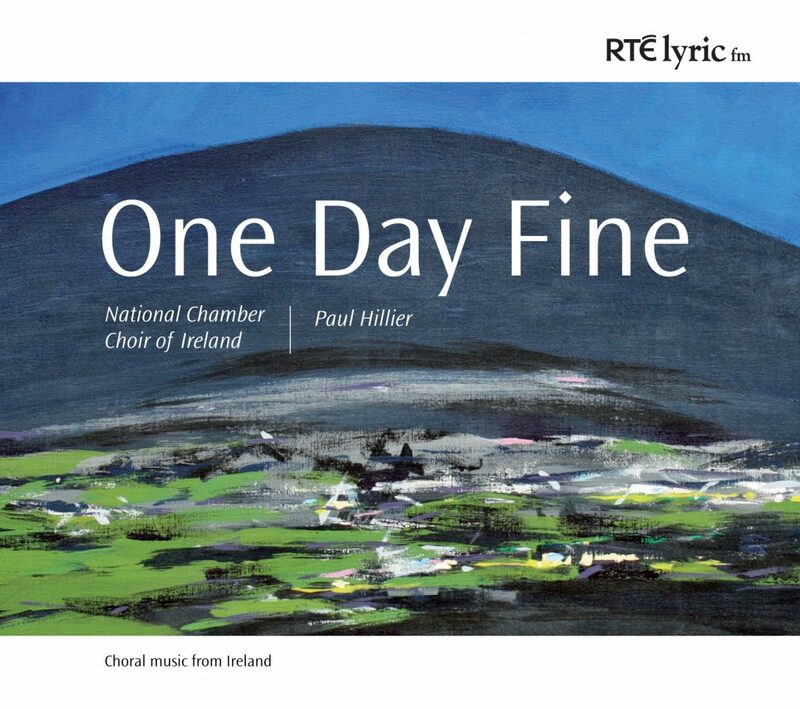 One Day Fine is a sonic journey through the breadth of Irish choral music. This is a recording of compositions from very different eras, cultures and politics, all unified under the direction of the National Chamber Choir of Ireland’s internationally acclaimed director, Paul Hillier. The earliest work on the CD Laeta lux est hodierna comes from the 14th century, while the most recent is the witty Everything Is Ridiculous by young Irish composer Andrew Hamilton. Joining Hamilton in testament to the state of contemporary choral music in Ireland are adopted citizen Kevin Volans whose eponymous One Day Fine draws on the exuberant clicking vocal techniques of his native South Africa, and Ian Wilson. The latter’s work The Beloved and her Lover uses traditional Irish sean-nós singing with soloist Iarla Ó Lionáird and is as an intriguing counterpoint to Percy Grainger’s wordless arrangement of The Derry Air. The early twentieth century is represented by compositions from a trio of Anglo-Irish composers with the controlled, angular lament of This Worldes Joie by Arnold Bax contrasting with the pastoral beauty of Moeran’s Songs of Springtime and Stanford’s Blue Bird. One Day Fine marks the first recording collaboration between RTÉ Lyric fm and the National Chamber Choir of Ireland. This CD is presented with funding from the Music Network/Arts Council Music Recording Scheme.